After my father passed away four years ago, my strong mother, otherwise extremely resilient and stoic, suffered from psychosis for three months. She had stopped recognising me as her daughter, could only remember me as a toddler, often asking for her mum who died 44 years ago, hallucinating, and often breaking out in arguments over something she had entirely imagined. As a primary carer, I did not sleep for months, looking after my mum, as we temporarily moved her base from a flat in a high rise in docklands to my in-laws in Kent. I worked from home, stayed up almost every single night to ensure my mother does not fall down the stairs or open the main door and wander away. Fast forward four years, she has recovered fully, has a razor sharp memory, back to her full-time high net worth job and has her own active social life. She would not have recovered from an acute and complicated case of psychosis caused by repeated traumatisation and accumulative sorrows. She was lucky she had a supportive family, who went out of the way to accommodate her, listen to her, provide her with a warm and nurturing environment, all the possible care, comfort, concern and familiar environment, and a very good psychiatrist as well as therapist. But we aren’t a conventional Asian family in the UK. We are among the minority Asians who have accepted, acknowledged, talked about and fought with mental health issues, tackling them head on. Thursday 7 February was observed as the Time to Talk Day, which this year focusses on encouraging people to have a conversation about mental health. With an estimated 1 in 4 adults and 1 in 10 children experiencing mental health illness, having these conversations is more important than ever. Research carried out by Time to Change partner, Rethink Mental Illness into attitudes towards mental illness in the South Asian community mostly shows that the subject remains a taboo in the Asian community. Embarrassed about their family members, people from the community have often taken shelter under self proclaimed faith healers, taking recourse to exorcism. Causes of mental health illnesses often remain misunderstood- occasionally conformed with 'eating wrong food', and patients therefore isolated. 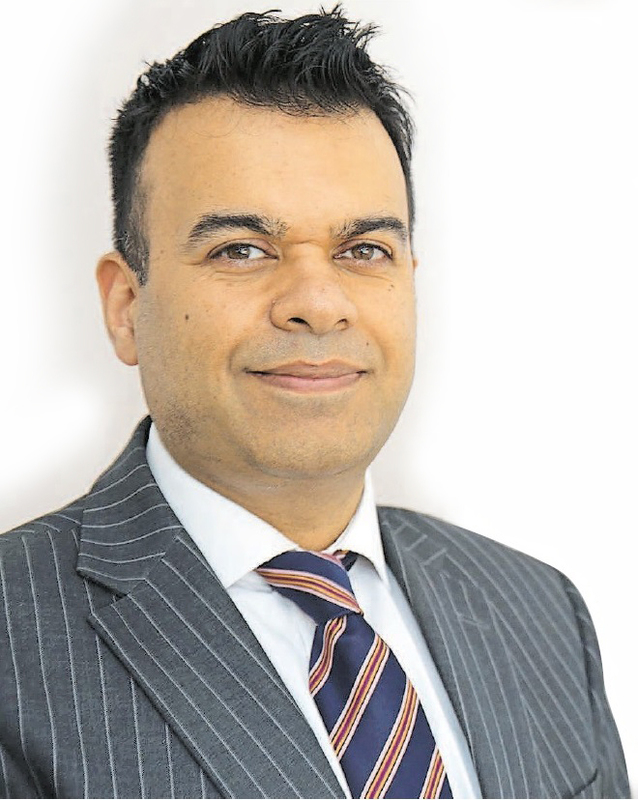 Indian-origin Dr Raj Kumar, is a GP in Rainham and also a Clinical Commissioning Groups’ GP lead for mental health for Barking and Dagenham, Havering and Redbridge. He told Asian Voice, how the NHS has found a solution for quick and personal access without any delays or hiccups, through Talking Therapies via website: www.mytalkingtherapies.org.uk or one can call at 0300 300 1554. The area which has a big population of Asians, is getting benefitted by the extra funds being injected in the mental health area, done in the concept of 'parity of esteem' (valuing mental health equally with physical health). People can access these therapists through their GPs or can call or contact directly. Dr Kumar who initially came from a career in psychiatry, changed over to a role as GP in 2005, is a bridge between the governing body and Primary Care Trusts. He provides strategic, educational and supporting role to primary care clinicians including nurses, managers and GPs. He also believes pharmacists could also be a key player, in identifying issues and improving access to psychology therapy. Talking Therapies facility ensures all the psychology teams have interpretors and approach the BAME communities through outreach programmes such as in places of religious practices- mosques, temples and gurdwaras. “Often the religious aspects could be comforting for patients, when they have psychological problems. But it is giving the patient a choice. You could go to your family, friends or faith leader, but if nothing works, they should be assured that the health service has a mechanism in place,” he said. Emphasising on building a relationship of trust between the therapist and patient he further added, “The majority of the people could deal with it themselves, but what we want to encourage them to do is talk, rather than take a pill. We don't want to give a pharmaceutical solution. They can have a course of treatment, go online, speak to someone - one to one, have group work and go away see how it has been working for them after 6-18 sessions over months. If it does not work, they can always come back.